Jack Harris, a longtime veteran radio host in Tampa Bay, has renewed his contract with iHeartMedia Tampa Bay and News/Talk WFLA 970 AM for another three years. Harris has worked in the Tampa Bay market for more than 45 years. 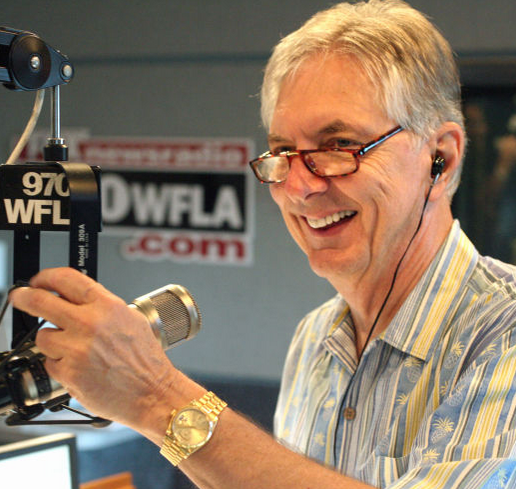 He joined WFLA-AM 970 in 1970 as the midday host and the station's production director. After some time in Washington, D.C., he returned to Tampa and spent two years on Q-105 and Q-Zoo, which at the time was on WFLA-FM. Harris is also the voice of the Tampa International Airport for the past three years and is the radio play-by-play voice for the Tampa Bay Storm arena football team and the Outback Bowl. Harris has worked with Tedd Webb, his radio partner for 22 years in Tampa Bay as well as Corey Dylan, Aaron Jacobsen, Jeff Kuyrkendall, Daisy Ash, John Conrad and Chris Trenkmann on the AM Tampa Bay show. Was Jack Harris ever on Radio or TV in the Pittsburgh area? The voice is so familiar. He did radio in Morgantown WV throughout the 1960s. Given the areas proximity to Pittsburgh, it's certainly possible. Did Miss Janet Diss iHR Music Festival?